It's hard to believe that less than twelve months have passed since Roland Duchatelet acquired Charlton Athletic, through his ownership vehicle Staprix. So much has happened since Charlton became a part of the Belgian's network of clubs; a bewildering influx of loan players who, overall, proved not to be fit for purpose, the departure of club icons, including Manager Chris Powell, a successful fight against relegation under interim Manager Jose Riga, the arrival of a second new Manager Bob Peeters, the installation of an expensive new pitch with an effective drainage system and undersoil heating, the summer makeover of a tired looking Valley Stadium. Also a complete reorganisation of the club's business management structure, along with a transformation of its commercial strategy, a summer rebuild of the playing squad, including the signing of some much better quality players, a flying start to the new season with the team playing some better quality football than seen at the Valley for several seasons, exciting plans for the development of the training ground, including a plan to apply for Category One Academy status and now, more recently, a disappointing run of results which has dulled the early season promise. Phew! That's a lot of change and as we approach the anniversary of Duchatelet assuming control of the club it's a good time to review progress and to ask "what happens next? ", not least since the much-awaited January transfer window is almost upon us. 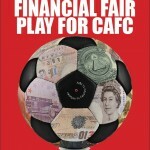 The Trust has written a number of articles since January, both in print via CAS Trust News (TNT) and for this website, assessing the club's financial position and, most importantly, using the information available to us from interviews and articles, to speculate about the club's strategy and the direction the new owner plans to take it. The article "Money, Strategy and Execution", which appeared in TNT7, provided a good overview of the situation and was probably fairly accurate. However, it identified one major uncertainty, an uncertainty which, if anything, is even more acute today. Put simply, it is still far from clear how Charlton's new owner will reconcile his stated objective of "breaking-even", whatever that may mean, with the financial cost of competing in the Championship. Indeed, Duchatelet appears to face a major dilemma, a classic "Catch 22". It would seem that the only path to sustainable break-even is to win promotion to the Premier League, but to achieve that goal the club will almost certainly need to spend more money, not less, and with no guarantee of success. Two developments have sharpened this dilemma since our "Money Strategy and Execution" update in September and "Financial Fair Play blown to bits" article in TNT8. First, the team's results have fallen away a little, clearly demonstrating the challenge of competing in the Championship with a relatively small squad and playing budget. Second, and more surprisingly, the club have released high level financial results for the year 2013/2014 which show no material improvement on the previous season. It would seem that despite repeated rhetoric around the need for financial discipline, the club's new owner has failed to improve its finances. The club isn't due to release its accounts until early next year, but Chief Financial Officer David Joyes produced the following summary in a recent match day programme. The table shows that the loss before tax fell by just £0.3m to £5.7m. Joyes reports that this was despite a £0.9m windfall from the FA Cup run and another £1.7m gain on player trading. Most importantly, despite a much rumoured savage cut in the playing budget in the summer of 2013, of perhaps as much as £2m, operating costs also appear to be broadly unchanged at £17.3m. The explanation for this really isn’t clear, especially since it is likely that non-playing costs were tightly managed. Moreover, the club has taken the trouble to carve out an additional, exceptional cost item of some £0.5m. The clear implication is that any savings made on the playing side during the summer of 2013 were then reinvested, both during that summer and in January this year, some of which would have been on loan signings. Given that further salary savings were made in January, with the sales of Kermorgant and Stephens in particular, this is, perhaps, an alarming conclusion given that the club still found itself in a desperate fight to avoid relegation. If nothing else, the results demonstrate the profound difficulty of breaking even in the Championship while remaining competitive on the pitch. What happened last season is, of course, now history and, in part, a reflection of the previous regime, but these results do very much beg the question, “so what next?”. In an interview at around the same time as his programme article Joyes gave us a clue when he said, very clearly, that last season’s Financial Fair Play (FFP) loss of around £2.6m will remain broadly unchanged this season. The question then, is how this target might be achieved, especially given that we cannot reasonably expect another run to the quarter final stage of the FA Cup or a £1.7m profit on player trading. Is more cost cutting ahead of us? - the club will receive no net FA Cup income, a deficit of £0.9m compared to last season. - match day income down by £0.5m, reflecting aggressive ticket pricing. - solidarity payment received up to £3.0m, an improvement of £0.7m. - the club’s player wage bill will be unchanged from last season, but with the exception that FA Cup related bonuses are saved, say £0.3m. Given that the senior playing squad is smaller this season, the implication of this assumption, if valid, is that some players must be on more attractive contracts. That’s almost certainly a deliberate policy objective. - net transfer income falls to just £0.8m, representing a possible upfront fee for Diego Poyet and additional windfall income. This is probably optimistic. Further players sales are possible, but the rumoured free transfer of Michael Morrison illustrates just how hard it is to make transfer profits. Who else might be sold for a fee? This leaves a deficit of at least £0.9m. There is an important caveat here. It’s possible that the club is budgeting to sell a valuable player once the season is finished, but before the financial year end. If this were to happen it might represent a potential game changer in financial terms, perhaps even funding spend in the January window, but it would, of course, stunt progress and the prospects for next season. - in addition, amortisation of player costs increases by around, say, £0.8m, reflecting the fees paid for Vetokele, Parzyszek and others. - the club cuts non-playing costs by £0.8m, including a net £0.5m benefit from outsourcing the catering contract. - a “contribution” from Greenwich University of £0.5m, described as shirt sponsorship and accounted for as income, but in reality a capital contribution in partnership with the club related to the development of the training ground and related facilities. It would be surprising if this were sustainable. - no exceptional item, saving £0.5m. - unspecified cost savings and/or revenue improvements worth £0.3m. - and finally, unchanged add-back items of £3.1m. While there is an important element of guesswork in this analysis, it probably represents a plausible route to achieving an unchanged FFP loss without cuts in the playing budget. However, while the club may deserve credit for some of the measures taken to improve the underlying financial performance, there is no material progress in the direction of break-even nor, based on this analysis, any scope for a much needed strengthening of the playing squad in January. Moreover, plans for the training ground and for the academy seem likely to increase losses and the need for cash funding still further. Duchatelet appears to be between a rock and a hard place. Only time will tell how he will respond to the dilemma facing him. We'll simply have to wait and see. It does seem highly improbable that the management of the club’s finances will get anywhere close to matching the break-even rhetoric. However, it also is highly unlikely that Duchatelet will completely abandon his core principles, not least since, at times, his approach seems to be as much philosophical as narrowly commercial. His apparent belief in young people being a prime example. It’s going to be fascinating to see how and where he strikes the balance. The January window may provide some clues. Whatever happens in January though, the club's management will no doubt continue to be challenged to "outperform the wage bill". While a cynic might say, "Yes, but doesn't everybody aim to do that? ", the fact is, especially given the demise of FFP, that some owners in the Championship will deliberately speculate to accumulate, whereas for Duchatelet spending more money than is being earned is always likely to be viewed as a necessary evil and to be avoided if possible. 1. An emphasis on player development, both in general and via a long-term commitment to a strong academy, in particular. The apparent willingness to invest for the long-term is both impressive and encouraging and this is, undoubtedly, a major positive of the Duchatelet regime. 2. A focus on the acquisition of young players with potential, along with a willingness to offer them long-term contracts. In turn this means that the club is likely to be less willing to sign established players seeking high wages, especially where transfer fees are involved. However, the outstanding summer signings of Tal Ben Haim and Andre Bikey-Amougou demonstrate that there is a degree of pragmatism in the execution of this philosophy. 3. A determined and disciplined approach to squad management, limiting the number of "surplus" players, placing a reliance on young players with potential to provide back up in the event of injuries and suspensions. We have recently seen the downside of this approach, of course. 4. A strong preference for a Head Coach who buys into the strategy and who focuses, primarily, on player development, coaching and game management, rather than the constant search for new players, including loan signings, who might improve short-term results. This is in stark contrast to recent Managers, most notably Iain Dowie and Alan Pardew, and to an extent even Chris Powell. This might suggest that once Duchatelet has found such a Manager he’ll be given time to achieve the objectives. Fans of Standard de Liege, another club in Duchatelet's network, might recognise some of these elements, but then argue that the overarching objective is to develop players and then sell them for a profit, disregarding success on the pitch and the pursuit of glory. It's inevitable that Charlton will also aim to make "profits on player trading", but while the club is playing outside the Premier League the balance may be a little different. Promotion has to be the objective, surely? Again, it will be fascinating to see how Duchatelet decides to strike the balance here. Will first eleven players be sold in January if the “right price” is offered for them? It is against this background that we now await the January transfer window, and the longer opening next summer, with baited breath. It's clear that the squad needs to be strengthened further; results and many statistical indicators of performance mean that this conclusion is now unavoidable. How aggressive the attempt to strengthen might be, what type of players will be signed and how successful this activity will be are the known unknowns at this stage. Defacto CEO, Katrien Meire, has stated publically, "We're trying something a little bit different." It remains to be seen quite what that means and how successful it will be. What is clear though is that it's going to take a lot of skill, outstanding management and, almost certainly, a generous slice of luck, to reach the Premier League without spending a lot more money. It’s also clear that Duchatelet is finding it hard work to reduce losses, what’s now more interesting is just how far he’ll be prepared to see them increase.